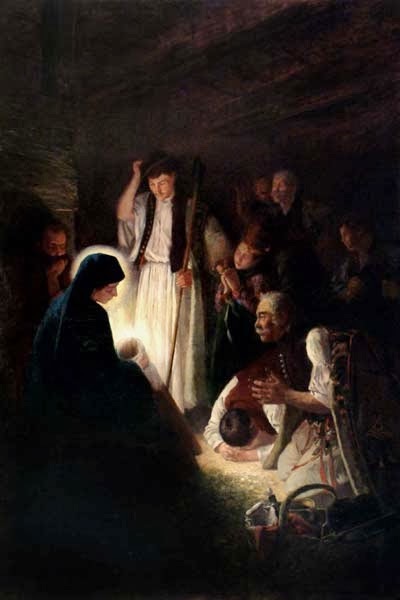 Gazella, this is probably my favorite painting of the Nativity. I love the light in it, and the bowing man, and the beautiful colors in the clothing, I am sorry I forgot to put the artist's name on this post. I will do so now. Thank you so much for your comment! Your English is absolutely perfect.